Lisa is currently accepting new patients, and is looking forward to working with you towards better health and wellbeing. Lisa Lawrie, RMT, graduated from the West Coast College of Massage Therapy in 2004 and received her license to practice massage therapy that same year. She is in good standing with both the Massage Therapists' Association of BC (MTABC) and the College of Massage Therapists of BC (CMTBC). She has completed numerous post graduation courses including those focusing on breast care, massage therapy for people living with cancer, or cancer histories, and the use of osteopathic techiniques, focusing on the gentle release of joints throughout the pelvis, thorax and cervical spine. 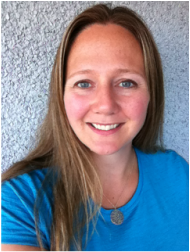 Lisa has also enjoyed being a Teaching Assistant for professional post graduate courses, supervising massage therapy students at the Utopia Academy, and providing in-house training for RMTs at Spa Utopia. Modalities used during treatment may include: neuromuscular therapy, myofascial release, muscle energy techniques, osteopathic techniques, joint mobilizations, hydrotherapy, Swedish massage and stretching. Lisa believes in a balanced treatment approach which may include integrating other modalities or practitioners, where necessary, to achieve her patients' treatment goals. Whether your goal is to decrease pain or discomfort, improve posture, improve range of motion or physical function, or to achieve a greater sense of well-being, Lisa looks forward to working with you.